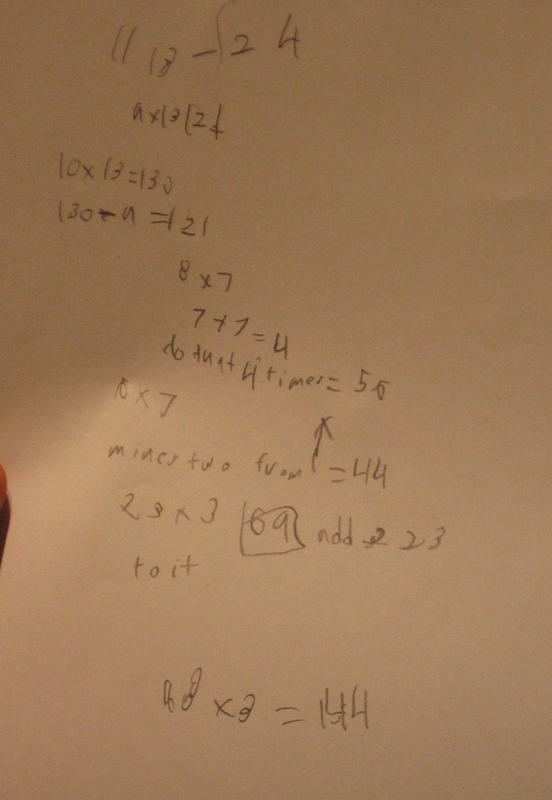 The kid’s handwriting is hard to read, so I want to point you towards 9 times 13, near the top of this page. I think that this is a great example of a mistake that you can feel fairly good about. Your thoughts, on any of his work?